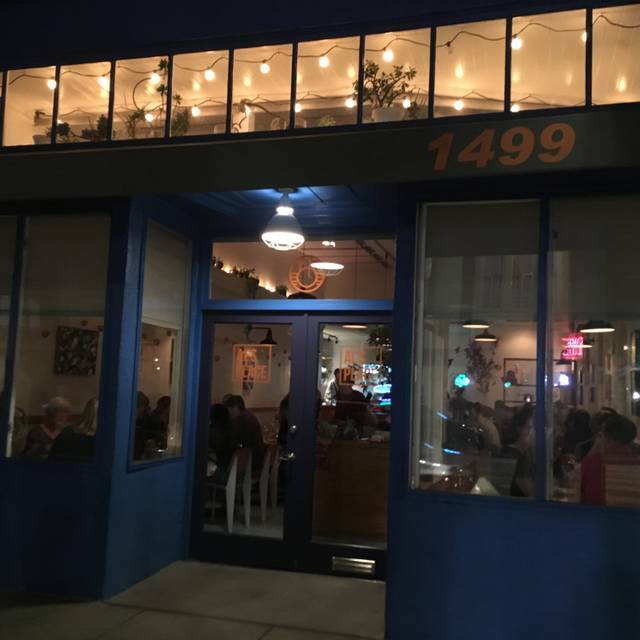 Aaron London's new restaurant in the Mission, San Francisco. 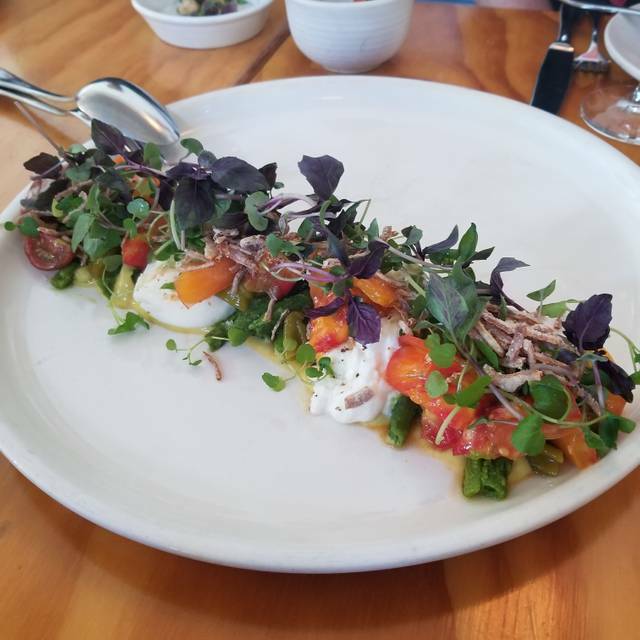 Northern California regional cuisine rooted in the produce and seafood of the Bay Area. The plates at Al's Place in the Mission look like art, and taste pretty great too. "Best New Restaurant in the US 2015" ain't a bad calling card either. The food was fabulous...the experience was not. The servers were like little robots reciting very quickly what was in each dish and the wine pairing with it. We felt like we were in an assembly line----courses were served before we finished our last one....and we are fast eaters! The noise level was not "energetic" but so loud we couldn´t hear each other speak. I think the servers were going for that edgy and cool feeling, while what we got was borderline hostile and aloof. Really too bad since the experience clearly didn´t match the food. Great food, interesting combination of flavors. Our server was amazing - so friendly, upbeat, knowledgeable and fun! Thank you, Emily! The food was very good - so many fun flavors mixed together. Loved the chick pea snacks and the lime cod curry. Portion sizes were good. My one complaint would be how close the tables are too close together. It’s a small place and I know they want to maximize the space but it’s close. We were a 2 top and there was another 2 top next to us. The tables were literally 2 inches apart. That seems a little close. Overall, nice dining experience. Food is beyond amazing but the experienced is super rushed. They want you out of there fast! Interesting food; indifferent service; very expensive for a very small portions. The experience was overall ok but I was shocked when presented with the check right after we got dessert. We were on time for our reservation and we were a table of four, we had not even Ben there 2 hours and felt we were being rushed out. I’ve never been in a Michelin starred restaurant that has done this. Would not go back. Amazing way with vegetables and incredible tasting food. The tasting menu is wonderful! Service was top notch. Food was even better. Will recommend to everyone I know. Great job Al's Place. Oh and get the Yellow Bean stew "Andrew's Style"
This is our 4th time at Al's Place, so we obviously like the innovative and delicious food. But the noise level is unbearable. We can't even hear the waiter without asking her to repeat and repeat. The 4 of us at this small table can hardly hear each other without raised voice. The sound system only added to the impossible noise situation. If they turn the volume down, it might help. I came out with the biggest headache from the noise. I often wonder if other customers are bothered by the noise. Having read a number of positive reviews about Al's Place we were looking forward to our dinner there. Our waitress was quite good - friendly, communicative and attentive with a helpful wine suggestion. However the food didn't live up to the reputation. Our main issue was that much of the food was either over salted, over brined or over handled by the kitchen. The presentations were overly fussy and on huge plates, half of which were empty. 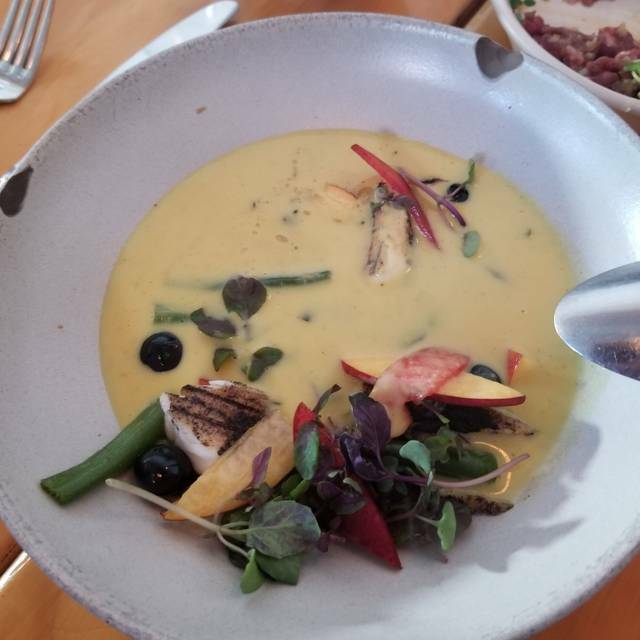 It's not that the portions were inadequate but the chef's aesthetic sense is to present large white plates, half with food and half with white space. 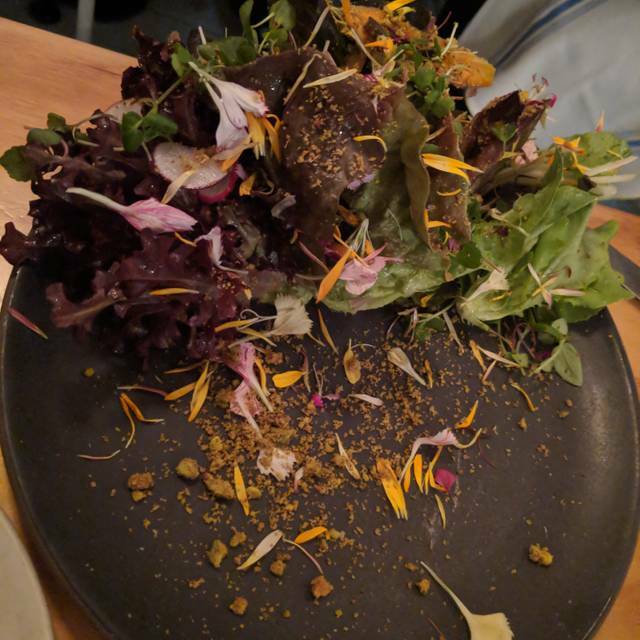 It was interesting when our salad arrived plated this way but as other dishes arrived, all designed to be shared, it became a joke as we were unable to fit them all on our table and ended up stacking them before we'd finished eating them. This led to the wait staff thinking we'd finished before we had, so they prematurely attempted to take away plates. On two occasions the stacked plates slid off each other and a member of our party dropped the serving utensils on the floor. Given the inevitable cost of the meal we were disappointed with our experience. All agreed that while it was good, it wasn't great and, with the high price, we all knew we wouldn't return again. 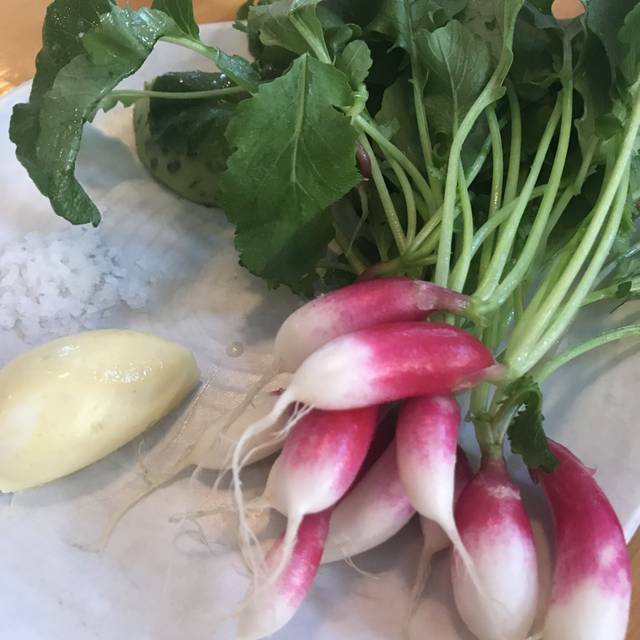 Daughter who cooks at A16 considers it one of her favorites and son visiting from LA was blown away. Coincidentally sat next to one of your local farmers who happened to be my professor years ago in dental school. That was fun. Appreciate the ceiling sound-dampeners in a city replete with noisy restaurants. The "snackels" alone make us crave a quick return. Thank you for your consistent high quality. Unique food. We tried the chef tasting menu and loved it. Excelente na comida e atendimento, pratos pequenos, som elevado, ambiente simples. Food was delicious! Some of the favorites were the mushroom broth, almonds and the hanger steak. Few service mishaps - served food that contained pinenuts (allergy at the table), one salad was forgotten and served after a reminder with our main course, and attention to detail wasn’t super present (they forgot the candle for the birthday cake). Overall good experience and food was good. Service and attention to detail could be improved. The allergy mishap was probably the most concerning of the night. First the con: this place is LOUD! Cheesy pop music at full volume kinda ruined the experience and we didn't stay for dessert. Had requested a a quiet table when making the reservation but was placed smack in the middle of the restaurant. Get a seat at the back bar area if you can - you're by the bathroom but can watch the kitchen and it's a more tolerable noise level. Pro: the food is amazing - the fries are the perfect salty and sweet combo, the turnips were sandwiched by delicious sauce on the bottom and crunchy goodness on top, and I'm already craving the green pea curry cod with pickled strawberries. Also the service is top notch - friendly, knowledgeable, well coordinated and professional. So maybe I'll go again; though never again on a weekend. One of the best food experiences I’ve ever had! Every dish got better and better. Ambiance was perfect. Music was poppin’. Staff was kind, efficient, and knowledgeable. I’ll be back very soon! The menu is extremely creative/intimidating, and it forces you to be adventurous, but trust in the chefs. Every single dish was mind-blowing. By far one of the best dinners we have had in months. 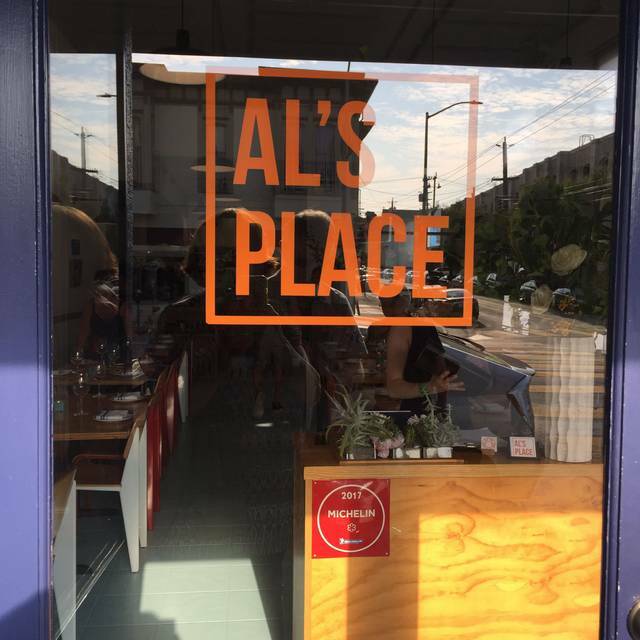 We absolutely loved Al’s place! What a welcoming place - delicious food and excellent service. Their salad greens picked daily are superb among other things. 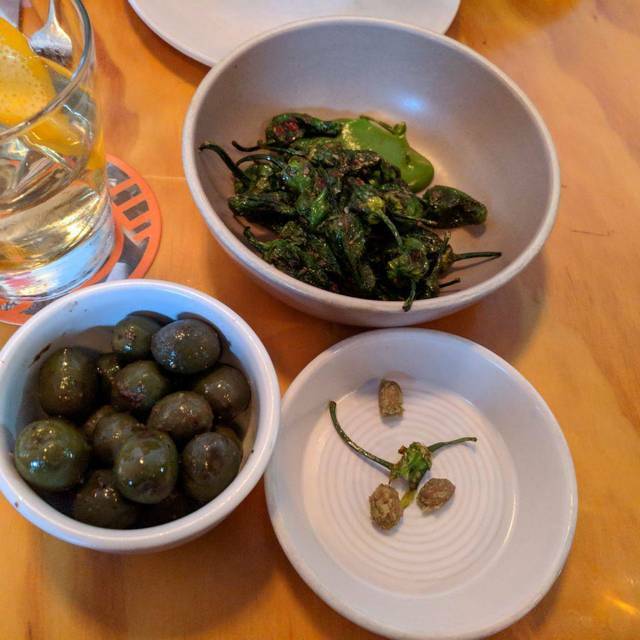 So I have written a review before and we'll Al's is amazeballs. But it is now spring, if you have been before and enjoyed your experience I highly recommend going back as the seasons change. If you want to enjoy the menu, don't do the price fix option ( if you're on a budget I completely understand), asks your server questions you might find certain dishes interesting. 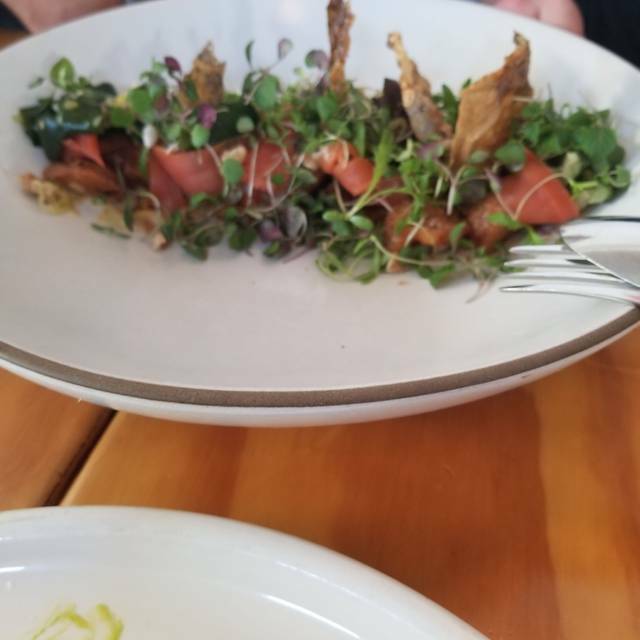 YES eat the salad with your hands and get the fish head if available. Pro tip: when ordering the fries do not be afraid to dip them into the other sauces, such as the peanut sauce, or the cheese whiz on the crunch platter or if you run out of bread and there is tartare left scoop it up with the fries. Keep it up Al's Place. It was absolutely a nightmare this time. Kimberly-the General Manager-had to go. She is not made out for the service industry. She has this attitude of superiority. The other staff was fine. The food had no changed since I last visited. The staff was dishonest I will blame the General Manager. I do not recommend going there. Overpriced for a lots of salads and horrible attitude. Find another restaurant. 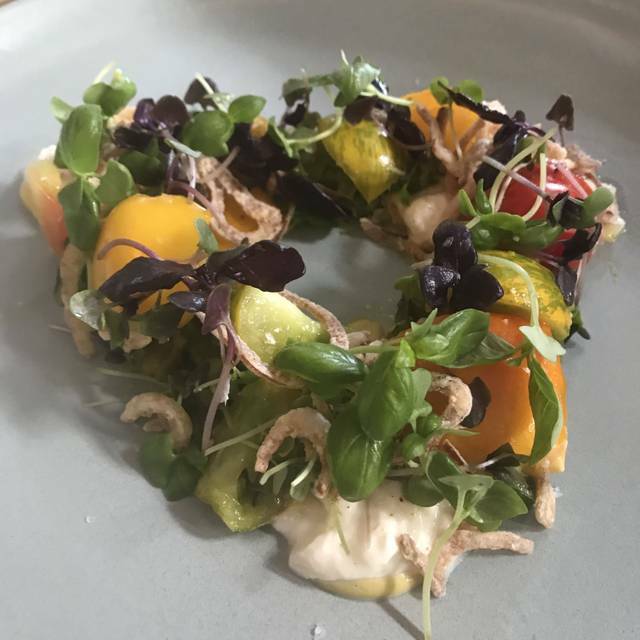 Delicious and inventive food in a welcoming restaurant environment. Vegetable forward in the best way. Really enjoyed our dinner here! First, I didn’t know this was Michelin starred. Which makes a difference cause I hate going to these types of places to be surrounded by people who use food to create an elitist atmosphere. Also, I’m a not so strict vegetarian. I thoroughly enjoyed my meal. The only thing we did not like is the one non-vegetarian dish: the sunchoke curry with cod. We felt the cod out of place and slightly salty. We should have asked to make it vegetarian. But other than that SPECTACULAR meal. Great service. And just a pleasant place to eat. It was really good! We all left really happy with the experience. Average, overly salty food, combined with impatient and rude service made this a one time experience, never to return. Best dish: yellow bean stew; Andrew style. They are not transparent about the prices - a 6% service charge was added. The service was pretentious. When I made note of the service charge the server was argumentative. The prices in general were out of line. The food was wonderful. The waitstaff was outstanding. I would definitely recommend it. Great food, service was slow to start but once our order was taken the food flowed well. We went with Chef's pick so that we could get a taste of the menu. It was really loud inside we found it hard to have a conversation without having to lean in. We loved the vegetable forward ethic and truly innovative sauces and fresh veggies! Everything we tried was innovative and unusual and creative. We left feeling quite exhilarated at having had a wonderful and interesting experience! Good food, good wine and great friends, who could ask for more! was awesome as usual. great with Family. thank you for accomodating us, letting us linger. It was seriously one of the best meals I have ever had. Although the prix fix was somewhat expensive - it was worth every penny and actually not expensive at all for what you got!!! There's so much creativity in each dish! Every little detail about the food and the place has been thought through. Music was loud and distracting but chefs choice tasting menu was an incredible value at $70 pp and delicious!